Become an accredited Energy Smart Builder! Zero-energy and carbon positive buildings are fastest growing sector of the building and construction industry. It's no longer business as usual. Builders who understand building science and understand how to build highly energy efficient buildings are in high demand! Upskill yourself and become a leader in your industry. This unit of competency specifies the outcomes required to ensure that energy efficient building methods and strategies are supported by employees and contractors working on a new or existing residential or commercial building designed to satisfy energy efficiency ratings and requirements. The unit provides the skills required to ensure that work undertaken to construct an energy efficient building or to retrofit an existing building for improved energy efficiency is performed as designed and reflects energy efficient specifications. The unit covers developing a culture of energy efficient work practices. This unit of competency supports builders and site managers overseeing the construction or retro fit of buildings designed to meet energy efficient ratings or improve the energy efficiency characteristics of a building. Planning and preparing to construct an energy efficient building. 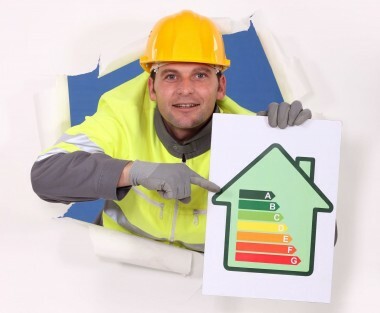 Communicating and monitoring energy efficiency awareness among tradespeople. Evaluating and communicating energy efficiency outcomes.